Niose Group of Education is an educational establishment under Open / Regular Schooling & College study points with its impart quality of education and resources with well specialist educated subjective teachers and help support since 1996 to till now. It has its own study centre in all over India more than 3000 different local and metro cities. 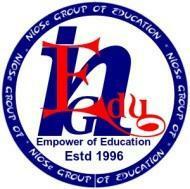 Niose Group Of Education conducts classes in Class 10 Tuition, Class 11 Tuition and Class 12 Tuition. It is located in Jodhpur Park, Kolkata. It takes Regular Classes- at the Institute and Online Classes- via online medium.